A thousand women are challenging the boys’ club of science by making a research expedition to Antarctica to raise awareness for climate change. In the 1950s, most countries did not allow women to work in Antarctica and there were few female Antarctic scientists. Today, females are playing leading and influential roles in Antarctic research. Antarctica is a giant, untamed wilderness. Home of the geographic South Pole, it has no nations and no indigenous population. The continent is almost entirely covered by ice, with an average depth of 2.16 kilometers. Although this southernmost continent was thought to exist as early as the 1st century AD, its icy shores were not actually broached until the 19th century. Today, the whole of Antartica is designated as a nature reserve, devoted to advancing science and peace. No one lives in Antarctica permanently, and few brave the winters in this frozen wonderland that average a bone-chilling -49°C. Working residents include an eclectic group of a few thousand international scientists and support staff who look after the continent’s 75 research stations. Homeward Bound was (literally) the dream of Fabian Dattner (Australian leadership activist), who initiated the project with Antarctic marine scientist Jess-Melbourne Thomas. Together, they garnered support of scientific bodies and influential women, created a leadership team and a teaching faculty. In 2015, the project went viral and the first program and Antarctic voyage took place in 2016. A lot has changed since then: Today, women make up 55% of the Association of Polar Early Career Scientists. However, gender bias remains a hot topic among scientists. Women are estimated to hold less than a third of jobs in STEM (Science, Technology, Engineering and Math) worldwide. Studies show that women in science tend to receive less mentoring than their male counterparts, are less likely to be trained in elite laboratories and are frequently seen as less employable. Bias against women in field research is especially troubling. Long working hours, alcohol and isolated locations, create conditions where discrimination and abuse are hard to control. In a 2014 survey of field scientists, 70% of women interviewed said they had experienced sexual harassment during their fieldwork and 26% reported that they had experienced sexual assault. The majority of those affected were trainees. Antarctic fieldwork has been no exception. It entered the #MeToo debate when Science magazine ran a story about David Marchant, then an assistant professor at Boston University, accused of verbal and sexual abuse of former students during research expeditions in Antarctica in the 1990s. The victims waited to go public, they now say, out of fear of damaging their careers. 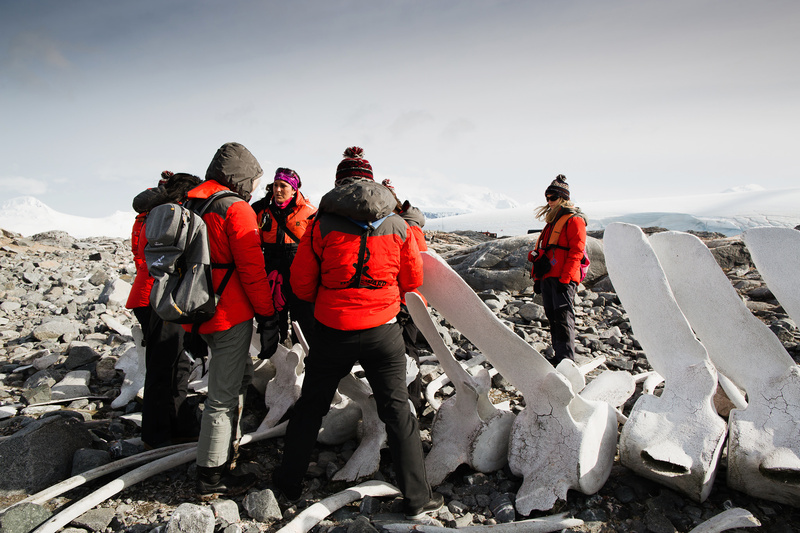 The Association of Polar Early Career Scientists (APECS), formed out of two organizations in September 2007, aims to raise the profile of polar scientists by connecting researchers and scholars. Today, 55% of APECS’s members are female, exceptionally high for a STEM field. Increasingly, women look for female mentors to help further their careers, using avenues that were previously open only to men. One group trying to catalyze this cultural shift is Homeward Bound, an initiative that is working to heighten the influence of STEM women in scientific decision-making, most notably in the area of climate change. The aim: to bring 1,000 STEM women from around the world to Antarctica within a decade. Homeward Bound’s motto is “Mother Nature Needs Her Daughters” – and they increasingly follow the call. Two cohorts of women underwent the year-long state-of-the-art program and Antarctic voyage, with a third cohort underway and due to depart for Antarctica on 31 December 2018. The brainchild of Australian social entrepreneur Fabian Dattner and Antarctic marine scientist Jess-Melbourne Thomas, Homeward Bound was launched in 2016 with 76 women, the largest female expedition to Antarctica to date. One of this year’s participants is Vienna native Dr. Daisy Hessenberger, a nature-based solutions support officer at the International Union for the Conservation of Nature (IUCN) in Switzerland. “You can see the most drastic effects of climate change in Antarctica,” the Cambridge–educated scientist told Metropole. Homeward Bound participants like Hessenberger are taking part in a yearlong program, primarily online, that includes coaching initiatives, leadership development and science communication training by female STEM leaders. Each participant gets one-on- one training to push them beyond their comfort zone and into the limelight. The program culminates with an in-person meeting in Ushuaia, Argentina, the southernmost city in the world, followed by three intense weeks on a ship in Antarctica. This year’s cohort is departing December 31, 2018. Although the program has some notable sponsors, participants are required to raise some of the costs of the trip on their own. For the 2018 group, this amounted to about €14,000 per participant. Scholarships are also being developed by the program to help bring in women from low- and middle-income backgrounds who are unable to secure outside funding. The program has big ambitions and hopes to inspire more women to professional alliances in a way that has been historically more open for men. Still, there have been treacherous waters, including five women who filed claims of sexual harassment and bullying in connection with the 2016 inaugural voyage. To Homeward Bound’s credit, several of these women are now participating in efforts to reform the program to make future voyages safer for participants. Beyond the headlines, Homeward Bound gives its participants a story to tell. The ongoing intention of Homeward Bound is to develop a 1000-strong network of women with backgrounds in STEM who can support each other in creating change. The effect of a program like Homeward Bound on women in STEM will reveal itself only with time. But if there is one thing that the #MeToo movement has shown, it is that women are now pushing for cultural changes in all fields, including science.